A refreshing twist on the classic potato salad. This dish is a perfect complement to a summer barbeque or even on its own! Boil potatoes until tender but not mash. Peel potatoes and cut into 3cm lengths. Set aside to cool. Add the broad beans to a large pan of boiling water, simmer uncovered for 2 minutes then drain. Place in a bowl of iced water then peel away the outer skin of the bean. Throw away the skins. 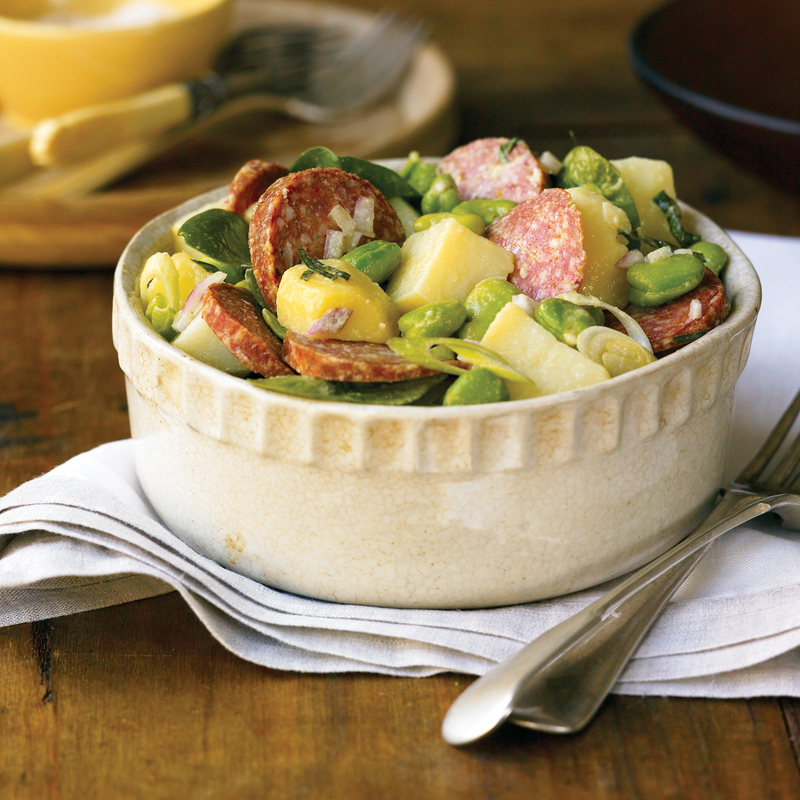 In a bowl place the potatoes, broad beans, DON® Hungarian salami, and the remaining ingredients and lightly toss together until evenly combined.